The advantages of DLC coating are clear: longer service life and reduced maintenance. 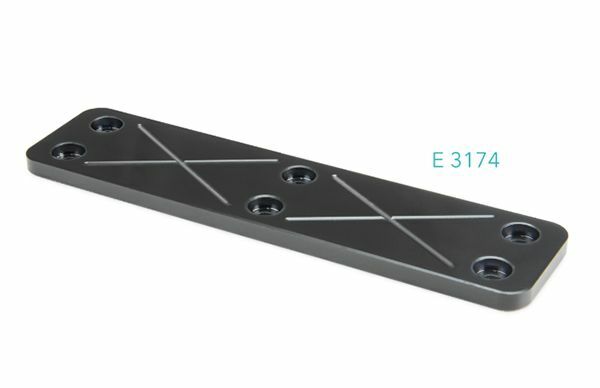 The new E 3174 flat guiding stock from Meusburger guarantees optimal sliding properties and minimal wear thanks to the DLC coated surface. With the radii already provided at the corners, the flat guiding stock can be fitted into milled pockets. As well as this, thanks to identical fitting dimensions, the new E 3174 can be used to replace the existing self-lubricating flat guiding stock E 3176 where necessary. In order to avoid sharp edges, a 15° chamfer is provided around the entire plate. This ensures a longer service life of the flat guiding stock, clean operation of the mould, and easy installation without rework. The plates are available immediately from stock, with dimensions from 25 x 63 mm up to 63 x 200 mm.